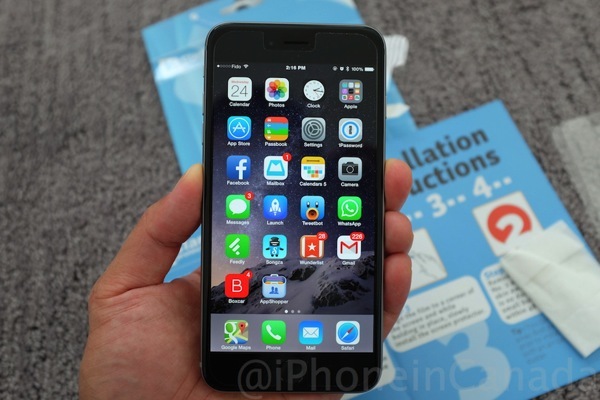 If you’re looking for an iPhone 6 Plus screen protector, there are many to choose from. Personally, we have been using screen protectors from Clarivue, which is headquartered in Richmond, BC. You may recall our Clarivue installation process for iPhone 5s—for the iPhone 6 Plus, it’s pretty much the same. The company sent us some of their updated Ultra-Clear screen protectors to check out—here’s our quick experience with these latest protectors. Again, there isn’t much inside the package aside from a quick install guide, a pair of protectors (this package was just for the front screen) and a special LCD wet tissue. Depending on where you are located, it’s almost impossible to get a dust-free install. But with Clarivue, you can get pretty close if you work quickly (an air can duster can also help). 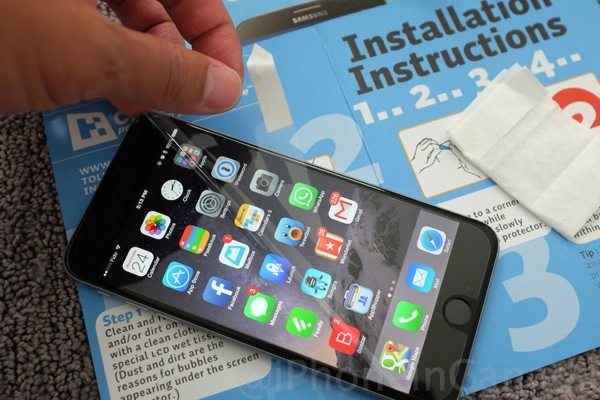 The first step is to wipe down the iPhone 6 Plus screen with the included wipe. This helps prevent dust and dirt prior to the install. Speed is of the essence for the next step. Peel away the back skin with marked with the number 1, quickly line the protector up on your screen, then place it down. Try not to touch the exposed side or your fingerprints will get etched on. I like to use my middle and thumb fingers from both hands to hold the edges of the protector about one-third in on each side, push in slightly so the protector bends, then place it down starting in middle. Once you let go, the protector will do the rest and just ‘stick’ itself to the screen, removing air bubbles in the process. For any remaining bubbles, push them out with your fingers. Now, just carefully remove the top screen layer marked number 2. You might see a tiny dust speck or two, but you can push the air out around them and they will disappear (unless there’s a huge speck of dust). The smaller bubbles will remove themselves within 48 hours. Don’t take our word for it—click here to see the full resolution image (4896 x 3264, 6.6MB file size) of the photo above (taken by a Fujifilm X100S) to see how clear the final install is and judge for yourself. As for downsides? 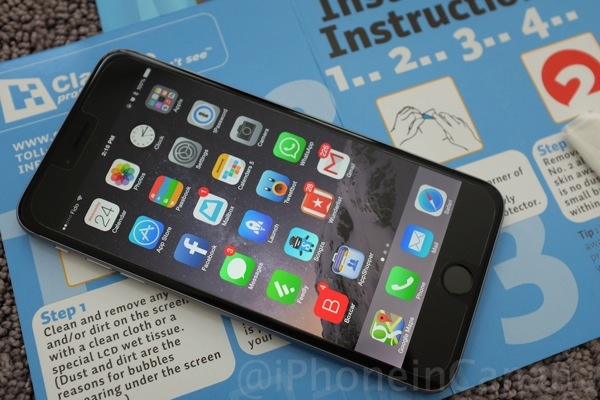 The protector does not reach all four corners of the iPhone 6 Plus screen. 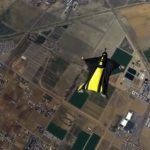 If you’re using a case, this is good news for you. But for those that goes case-less like myself, I wish it would have been an exact fit. But with the new curved screen along the edges, this can be a problem for any screen protector manufacture and installation will most likely be more difficult. 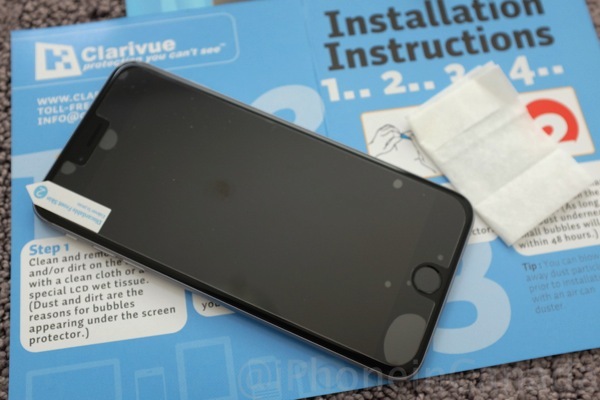 The company says curved screen protectors have a slightly smaller fit to prevent the chances of bubbling. There is no ‘best’ screen protector, but it’s the one that works out best for you and that you enjoy using. For us, Clarivue’s screen protectors are the preferred protection of choice because they are super thin, provide glass-like clarity and the installation is fairly easy if you have steady hands in a dust-free environment. Plus, there’s free regular shipping along with a lifetime warranty. Since they are a Canadian company (bonus), there’s no duties or brokerage fees to worry about especially when ordering from other companies located in the USA. 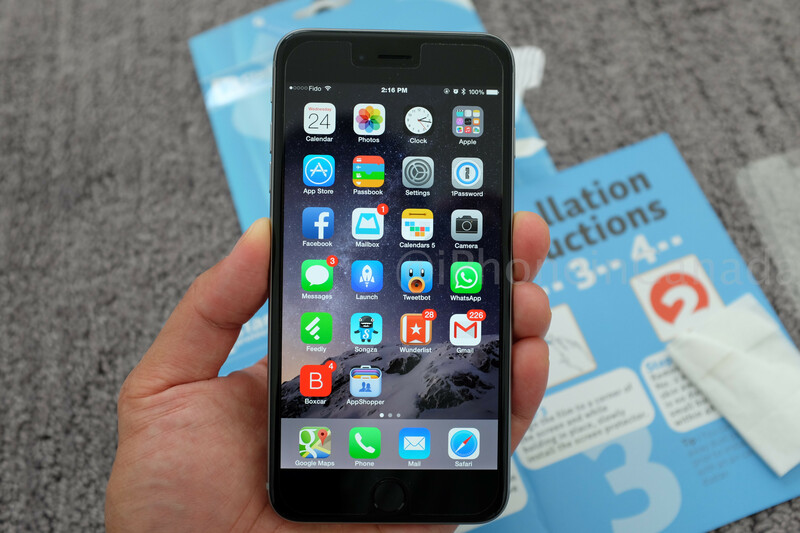 Right now, there’s a sale on the iPhone 6 Plus and iPhone 6 screen protectors, as they are available for $14.99 USD, which is 25% off the regular price (two protectors per package). Other finishes in Anti-Glare (review coming), 4-Way Privacy and Mirror Screen are also available and on sale. 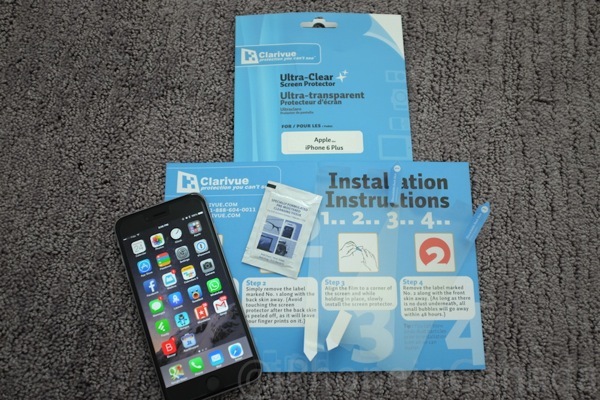 Click here to order your Clarivue Ultra-Clear screen protector while it’s on sale for $14.99.